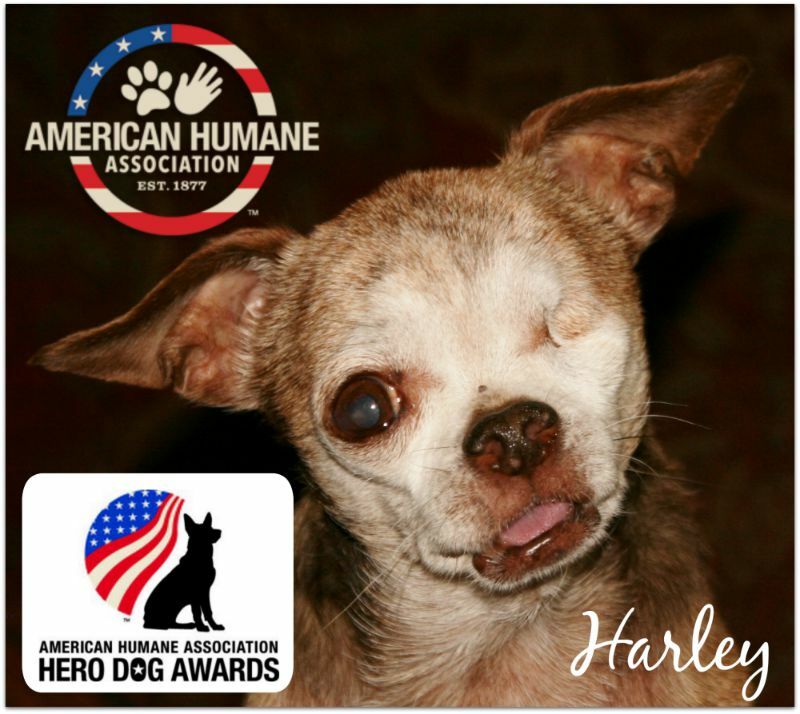 Harley, a tiny Chihuahua who spent the first 10 years of his life living in a small cage in a puppy mill, was recognized as the 2015 "American Hero Dog" by the American Humane Association. 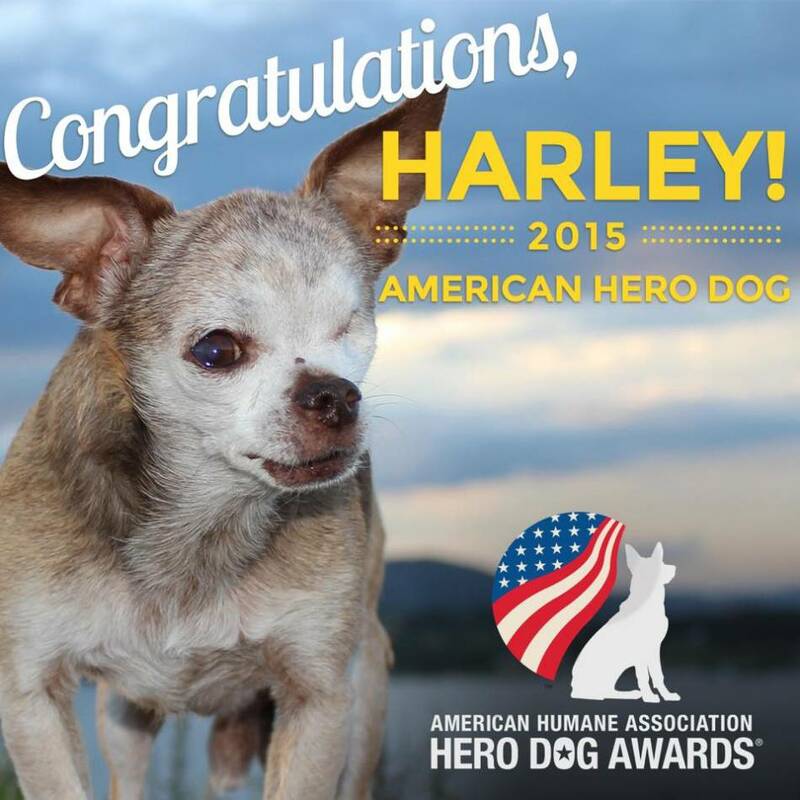 COLORADO SPRINGS, Colo. - Sept. 23, 2015 - PRLog -- National Mill Dog Rescue, a Colorado-based organization whose mission is to rescue, rehabilitate and re-home discarded breeding dogs from the commercial dog breeding industry, is very proud of Harley for being named the 2015 American Hero Dog by the American Humane Association. Previously awarded the ‘Emerging Hero’ title, he was honored to earn the top title of 2015 American Hero Dog during a star-studded gala event on September 19. His campaign, “Harley to the Rescue," has raised more than $500,000 to help National Mill Dog Rescue save hundreds of dogs that were suffering in puppy mills. On several occasions, Harley personally traveled into the Midwest along with the NMDR rescue team and is responsible for bringing more than 500 dogs to freedom. According to the American Humane Association, “Heroes are not judged merely by their size, but by the size of their hearts. Following more than a million votes by the American public and the opinions of an expert panel of celebrity animal lovers and dog experts, a tiny Chihuahua named Harley from Berthoud, Colorado has been named this year's most courageous canine and biggest dog star, beating out 170 other heroic hounds and capturing the top title of 'American Hero Dog' at the 2015 American Humane Association Hero Dog Awards®, presented by the Lois Pope LIFE Foundation, Inc. and broadcast nationally on Hallmark Channel October 30." The winner was chosen through a combination of public votes and voting by a panel of animal advocates and celebrity judges including: Victoria Stilwell, Alison Eastwood, Lisa Vanderpump, Lou Wegner, Philippe and Ashlan Gorse Cousteau, and many others. 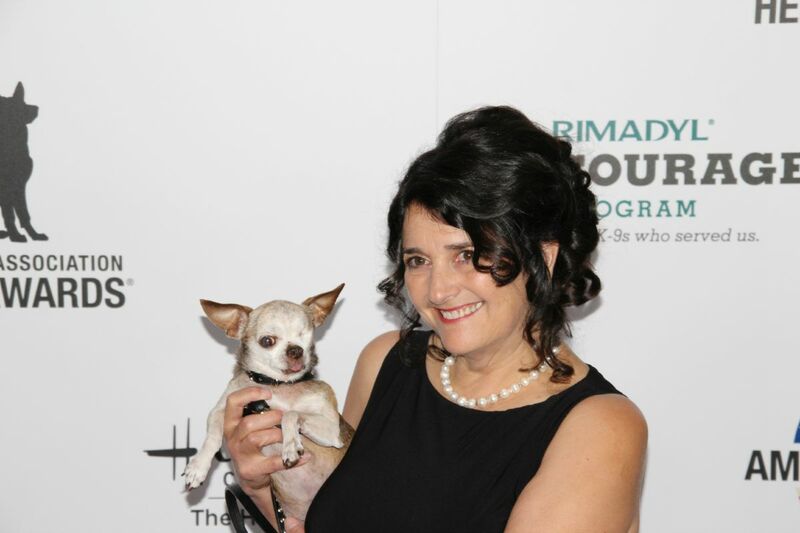 Theresa Strader, NMDR founder, has this to say about Harley, “Ten years in utter misery did not break this little dog's indomitable spirit. Once rescued, Harley quickly taught his family the deepest meaning of resilience and forgiveness and soon became the 'little dog with a big dream' - to end puppy mills forever. Harley's personal appearances and educational efforts through social media and beyond, have taught thousands of people around the world the truth about pet store puppies. 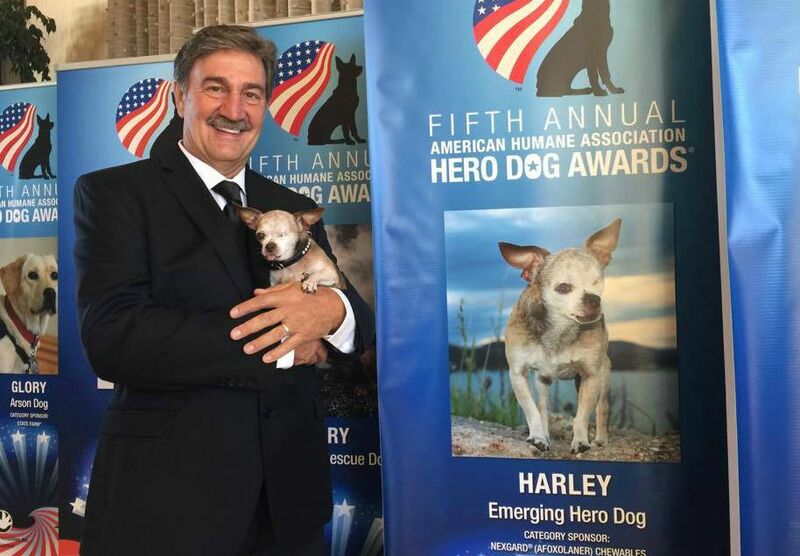 Harley truly is an outspoken voice for mill dogs everywhere and is highly deserving of the great honor it is to be one of the American Humane Association's remarkable Hero Dogs." Harley's sponsor is Merial, a world-leading, innovation-driven animal health company, providing a comprehensive range of products to enhance the health and well-being of a wide range of animals. Now in its fifth year, the Hero Dog Awards competition searches out and recognizes America's Hero Dogs – often ordinary dogs who do extraordinary things, whether it's saving lives on the battlefield, lending sight or hearing to a human companion, or simply the tail-wagging welcome a pet owner relishes at the end of a hard day. Dogs compete in eight categories for the Hero Dog Awards: Law Enforcement Dogs, Arson Dogs, Service Dogs, Therapy Dogs, Military Dogs, Guide/Hearing Dogs, Search and Rescue Dogs, and Emerging Hero Dogs. American Humane Association is the country's first national humane organization and the only one dedicated to protecting both children and animals. Since 1877, American Humane Association has been at the forefront of virtually every major advance in protecting our most vulnerable from cruelty, abuse and neglect. National Mill Dog Rescue is a 501(c)(3) organization that rescues, rehabilitates, and re-homes discarded commercial breeding dogs. NMDR relies on volunteers to care for the dogs, from the moment they are surrendered to the time they are adopted and beyond. They depend on the generosity of donations from the public to provide the high level of care needed for the dogs and to continue to be able to save them. National Mill Dog Rescue has saved more than 10,000 dogs to date.